Simply put, Fontainebleau is delightful. It isn’t the longest golf course in the world but will give you a great challenge without leaving you drained. If there is a more charming golf course in the world then I would like to see it. The course winds its way through a dense forest and it is quite tight, so accuracy is vital. There are also a lot of rocky outcrops which make for interesting features, in places every bit as punishing as a water hazard, to be hit over. This isn’t a long course though so you don’t have to muscle it around, just focus on positioning from the tee. While there are plenty of trees, they don’t encroach too much on your shots if you put the ball in the right place and it isn’t too intimidating from the tee. We played it during a pretty wet May but, because of the sandy base, it had drained fantastically. The turf was really high quality and the greens were in perfect condition, putting to shame Le Golf National which we played on the same trip. It is around the greens that your score will really be made. Most of the greens are small and well positioned bunkers and dangerous run-offs abound. One criticism I did have was that three of the four par 3s were of similar 180+ yards length from the white tees which seemed a little samey, but the par 5s have a great variety in them. The par 4s are a delight. The dogleg 9th has come in for some criticism elsewhere but I thought it was great - that opinion may have been helped by a 6 foot birdie putt of course. This is a real course from yesteryear. There is nothing contrived about it, nothing tricked-up. The clubhouse oozes charm and history and they were very welcoming. This course has received more and more acclaim over recent years and is now up to 6 in the Continental Europe rankings from Golf World. While Morfontaine may be the ultimate Parisian tee-time, Fontainebleau is almost as much fun and a whole lot easier to get on. If find yourself in Paris with some time on your hands, this is a fantastic option. 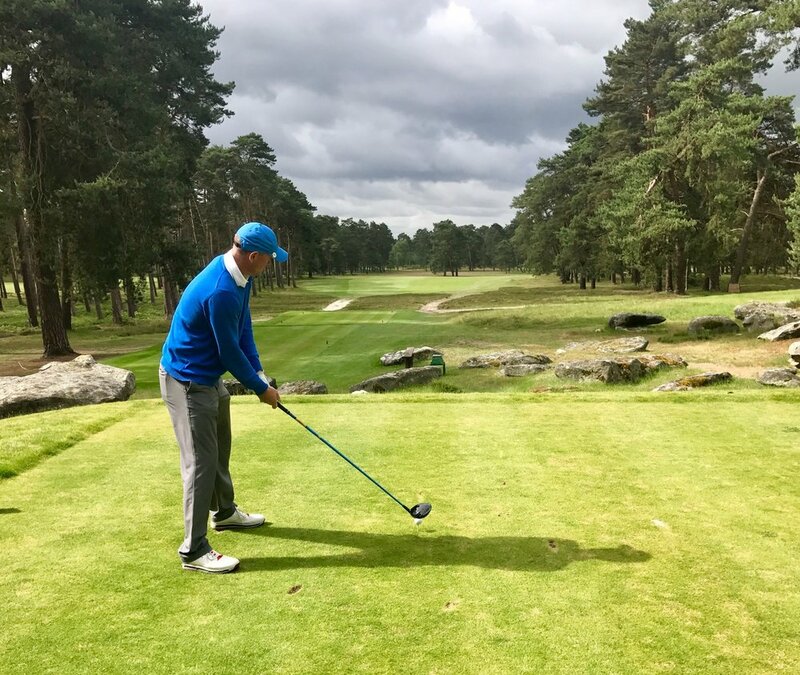 The Fontainebleau website is worth a look if you are planning a trip, with a lovely hole by hole walk-through, but you will find it silent on such critical information as visitor hours and green fees. It's around 100 Euros a round though and if you phone or email the club directly they will let you know about available tee times. Paris itself is about an hour north of Fontainebleu and if you were including a round at Les Bordes then this would be a good place to play en route to the Loire. 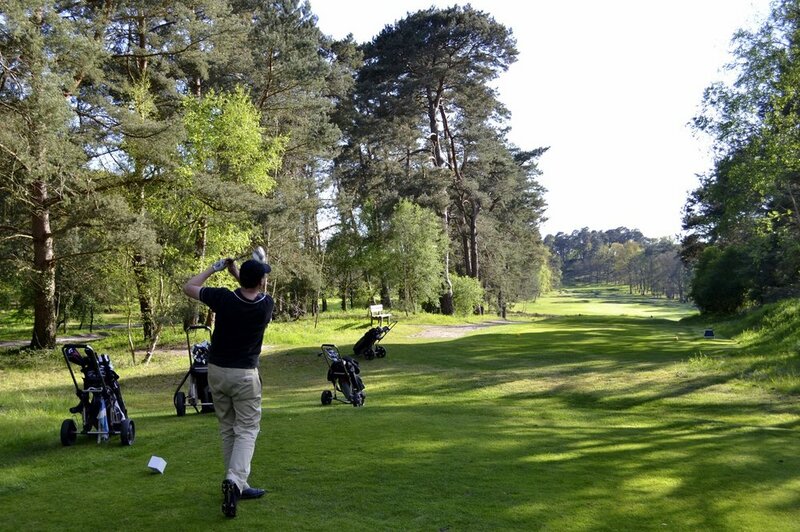 If, however, you are looking for a slightly more reasonably-priced trip, rather than trying to play Les Bordes and Morfontaine you might want to consider playing Fontainbleu, Saint Germain, Le Golf National and Chantilly. They all allow green fee play (although check days of the week) and you could either base yourself in Central Paris or somewhere like Versailles and no journey would be more than an hour if you planned it well.